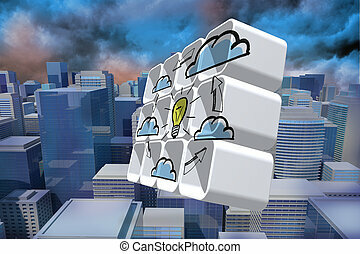 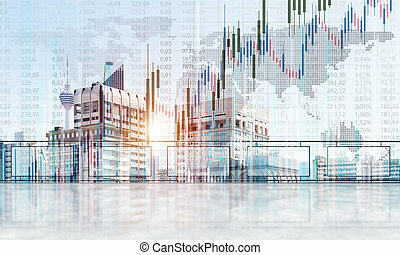 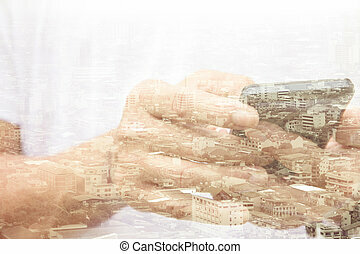 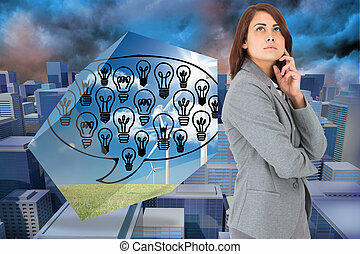 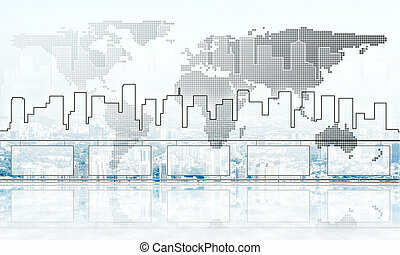 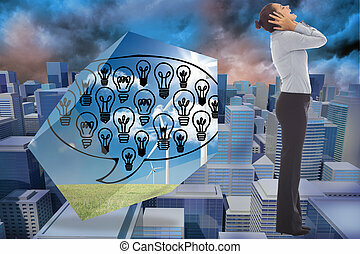 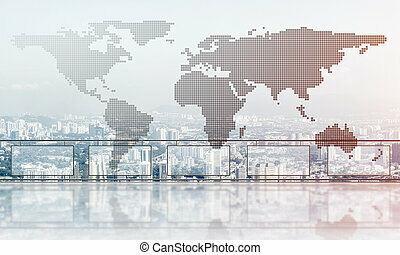 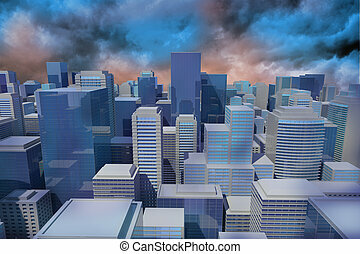 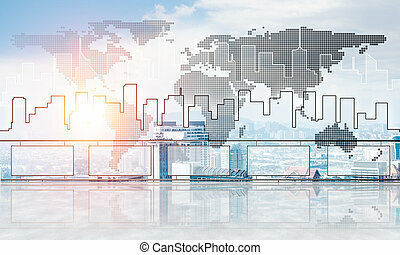 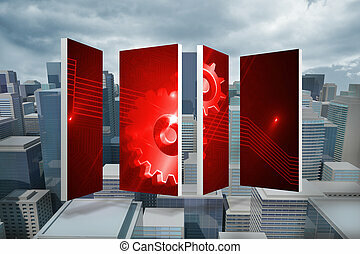 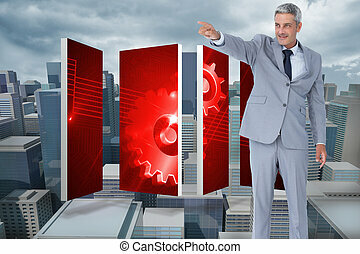 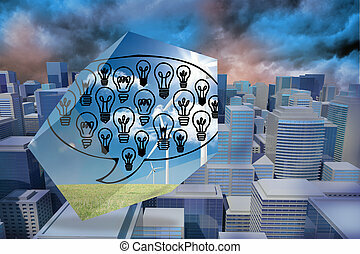 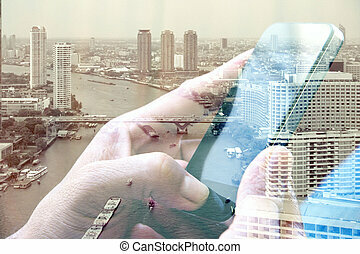 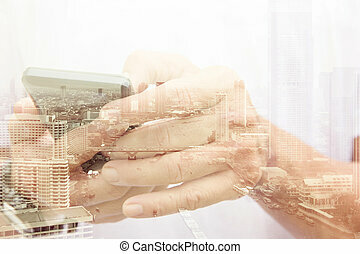 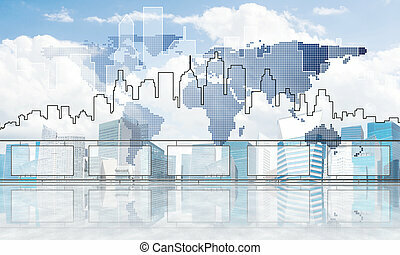 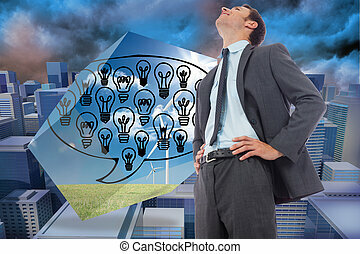 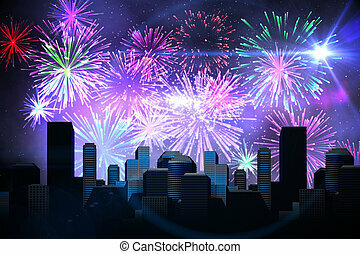 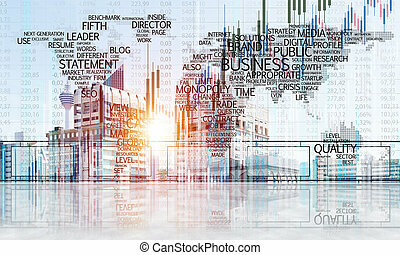 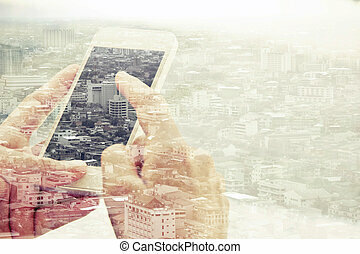 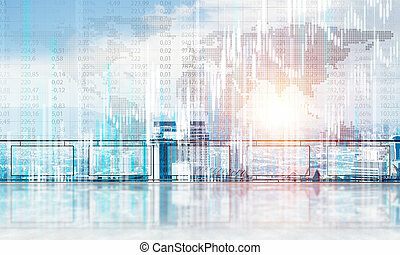 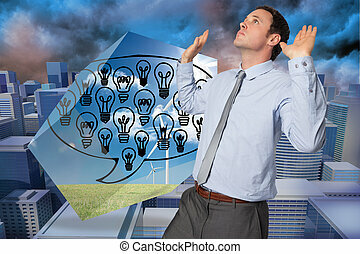 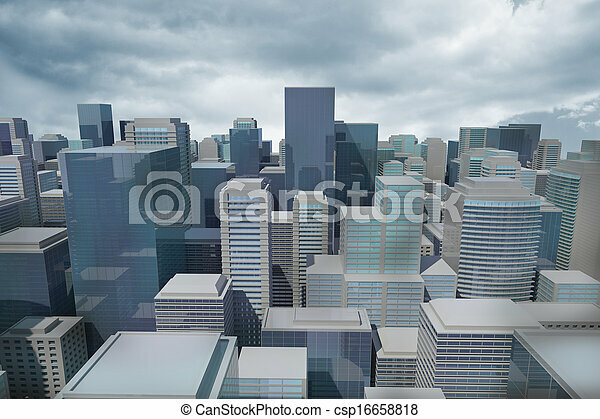 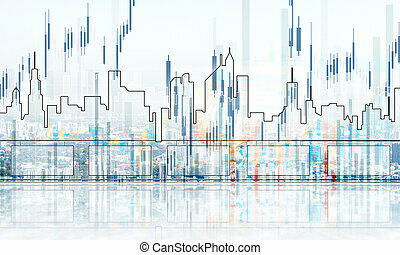 Double exposure of man using smart phone and cityscape background ,Business technology concept. 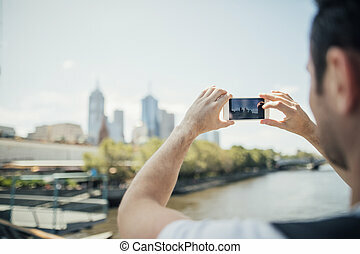 Millennial tourist is using his smart phone to take photos of the cityscape from a bridge in Melbourne, Victoria. 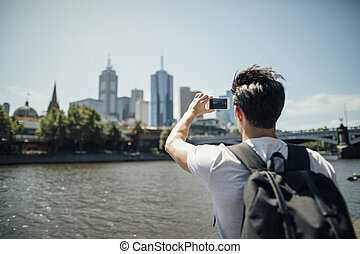 Millennial tourist is using his smart phone to take photos of the cityscape from Yarra River bank in Melbourne, Victoria.